Some of the benefits of working out are improved flexibility and mobility. However, only a few people can tell the difference between the two. In some cases, people use the words interchangeably. Flexibility and mobility have different meanings. Mobility refers to the ability to move your body through a range of motions. On the other hand, flexibility relates to your joints and muscles being more pliable or springy. Now that you have a clear understanding of the two, it is time we take a look at each individually. Additionally, we will take a look at some exercises that you can do to improve each one. Flexibility relies solely on the capability of your tendons, muscles, and ligaments to briefly stretch. According to fitness experts, hindered flexibility can lead to pain,as you can’t complete your natural range of motion. 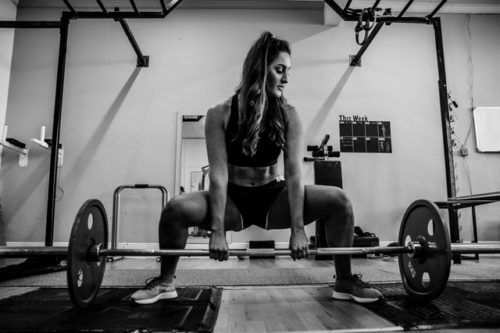 Stiffness in your connective tissue can prevent you from performing basic movements, such as bending over to pick something up from the floor, squatting, or getting something that is a few inches above your height. As seen earlier, when it comes to movement, your joints play a very significant role. For example, are you able to rotate your leg or swing it back and forth at your hip joint? If you cannot or are experiencing resistance when doing it, then your mobility is restricted. Mobility too, like flexibility, plays a significant role in our day-to-day activities. Performing specific actions can be very challenging, and in extreme cases, it may even lead to injury. Improved mobility, in conjunction with workout supplements from https://steroidsfax.com, will allow you to perform most exercises with ease.Extreme flexibility doesn’t really mean much when you’re working out. What we mean by that is you don’t need to be a contortionist to perform your workouts/movements well.Your mobility levels and necessary flexibility will come into play for proper flow, coordination and body strength. In a nutshell, you need your muscles to be active to support your movements. Also, they need to be pliable and elastic to allow you to move more freely. To work out or train well, you need to understand correct body posture and movement. This will prevent you from hurting yourself when working out. Besides that, it will also help you to use your energy well when training. If you have mobility or flexibility issues all hope is not lost, you can quickly improve the two. Here are some routines to help you work on your flexibility and mobility. If you’re suffering from stiffness, a short stretching session before you start working out can improve your flexibility and mobility. Likewise, remember to also incorporate this routine into your cool down session. When doing your stretches, avoid overstretching as you run the risk of injuring yourself. Foam rolling is a familiar routine that can help improve your flexibility. Studies have shown that foam rolling can help loosen tight muscles while at the same time improving blood flow within your muscle tissue.